Howdy The Happier Homemaker readers! I’m Trisha D. from Black and White Obsession and today I’m ridiculously excited to share a very special Project Brainstorming free printable with y’all! Alright so the stickies are tidier and prettier in this example. You see before creating a mega blogger planner— really, that thing is 132 pages!— I found it increasingly difficult to track down each and every last sticky note filled with random scribbled ideas. Since those sticky note concepts were only a few words and at times, difficult to read, it caused some frustration figuring out where the line of thought went and if it was something we really wanted to peruse. The original planner version, as part of that 132 page FREE blogger planner (above), was slightly smaller at a half-page and was geared toward blogger specific projects– boring stuff like how to present the project for optimal internet exposure. This blogger version was of little help to the beau, since he doesn’t usually get involved in the blog stuff- you know besides letting me get all paparazzi on him. Which meant that we needed something more general to house all his crazy-genius ideas. 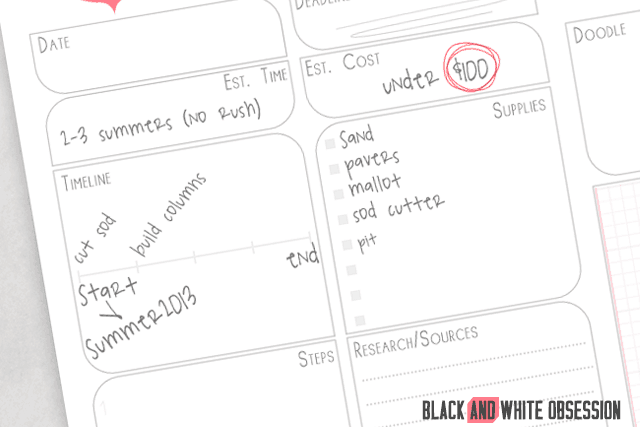 So that’s when it was time to take matters into my own hands by redesigning the worksheet. This would organize all his brilliant ideas with the ultimate goal of clarity by drilling them down into smaller bite-sized steps. Although not shown, you could totally print them double sided, staple them together, and convert them into a little project planning book. You could look back at old projects or keep referring to the open projects when you’re ready to roll up your sleeves and get your hands dirty. <– a special creative Pinterest Board you may find useful. I’m an enabler, you’re welcome. 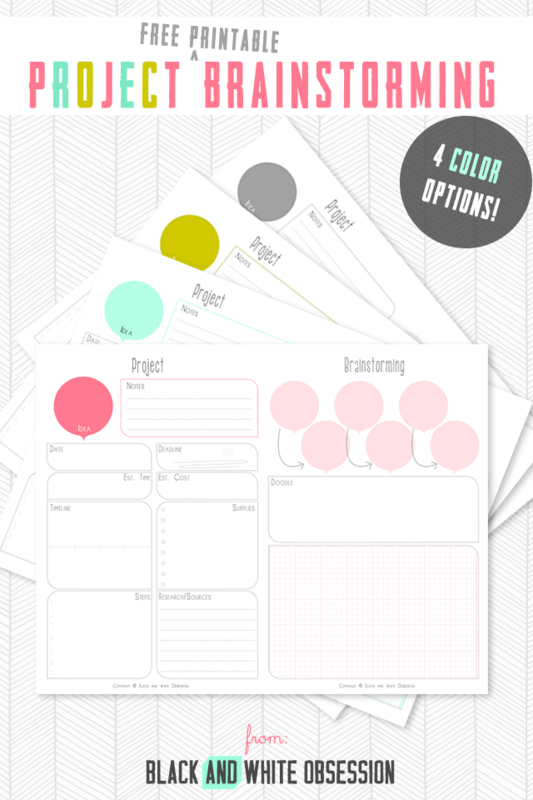 The free printable comes in four colors: Coral, Mint, Gold, and Gray in PDF or PNG format. Also, the PDFís are packaged as a four page bundle for those who enjoy some color variety in their life or individually for those who prefer one color at a time. 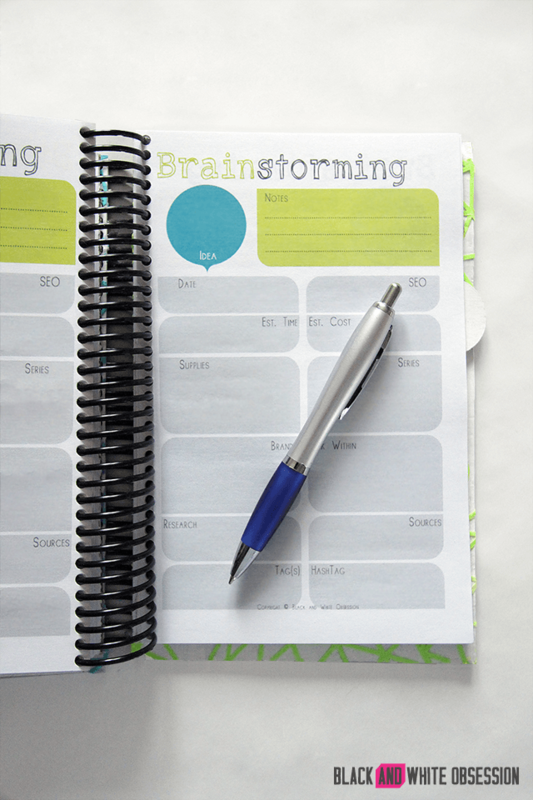 I hope you find the free project brainstorming printable useful in your own home! 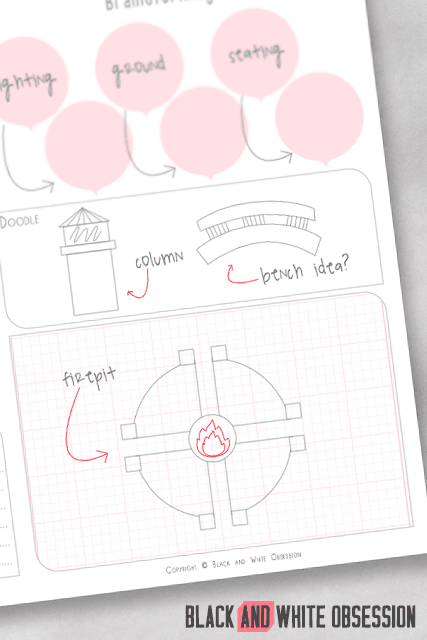 What types of projects do you find yourself daydreaming and sketching about? Are you gearing up for spring/summer projects? Looking for more freebies from me, Trisha D.? You can find those here. You can also spot me getting all social on Pinterest, Instagram, Twitter, and Facebook. In case you missed it, Iím one of Melissa’s new Thursday Contributors, and I’m so honored to meet y’all!